Last swim season nursing caused my cups to runneth over. This swim season the tides have ebbed significantly. Such fluctuations allow me to speak experientially of both the high and low tides of busts, and today I will give you strategies for both. If you too lack gusto in the busto, ornament it. 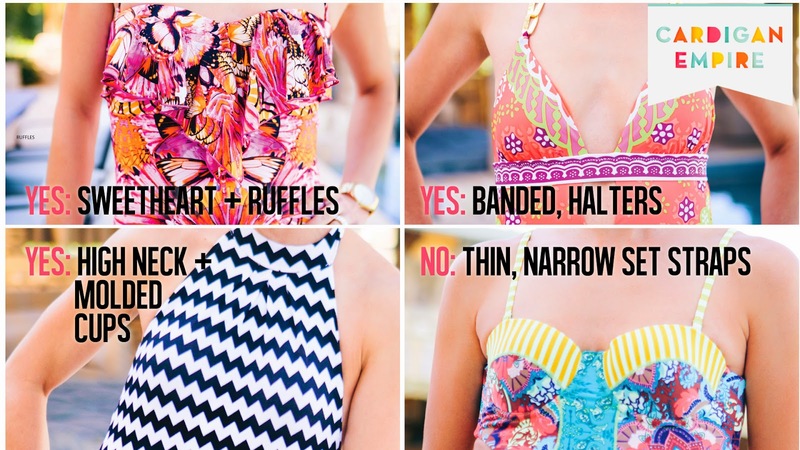 Flirt about those northern curves with ruffles, fringe, or other drapes of fabric. The volume of the fabric will give the illusion of greater volume beneath the surface. The subtle dip of a sweetheart necklines also offers bonus curve factor. While add-ins like soft cups, boning, and gripper tape ensure support for moderately full cups as well. Banded halters are friendly to busts of all sizes because they are fully adjustable. The tie behind the neck allows you customize the nest to your lady eggs, while offering structural lift at no extra charge. The banding underneath the bust is also adjustable to multiple size sand provides a crucial foundation. Molded cups provide shape and protection from show through. What a high neckline offers is an uninterrupted line of your curves. Breaking a broad expanse into smaller pieces immediately makes it look smaller, which is great when you’re trying to minimize an area, but can lead to gaping overexposure when the area is dainty to begin with. Straighter busts can successfully opt for more coverage. Ample busts on the other hand should swim away from this aquatic turtleneck. I picked this unique Maaji Parrot Paradise suit out because I loved the mismatched patterns, and I know that structured demi cups can provide great shape and show. However the placement of the strap to cup attachment was tragic. Securing the straps towards the center rather than the outer edges of the cup creates unsightly flesh collections under the arms. Thicker wider strap attached to the outside of the cup will avoid this fashion malfunction while creating superior lift and shape. The cut outs might have narrowed my waist but they showcase my ribcage instead due to my long torso. And the widening triangle at the hip created the illusion of even fuller hips, which might be desirable for a linear or upper figure, but was completely unnecessary for my bountiful lower figure. For better alternatives for your belly and bottom, be sure to subscribe, these episodes are coming next. Thanks to Breanne of Red Poppy Photo for posing me, photographing me, and giving me the courage to put my real body into a swimsuit for educational purposes. Her camera is just as kind as the operator behind it. Check her out. Not an upper figure? Your figure is not forgotten. Want a personalized refresher for Summer? 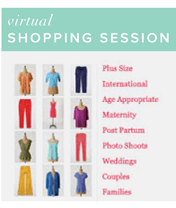 Get your own Fashion Package, complete with a look book & virtual shopping session to compile a portfolio of uniquely customized ensembles.